Thanks for reading my very first food review! 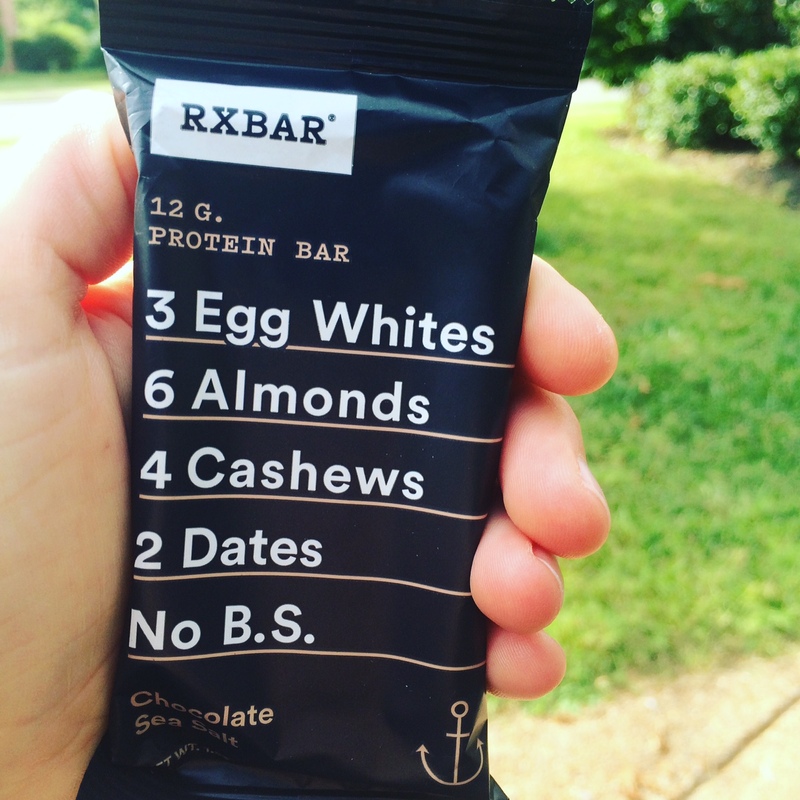 I had gotten in touch with the nice people at RXBAR, expressing my desire to try their bars. After being unable to find them anywhere, the company sent me not one, but TWO boxes of their bars to try and review on my blog! One box was a variety pack and there other was their Chocolate Sea Salt flavor. I’m still working my way through the variety pack (there’s a lot of flavors!) but to be honest, it’s more so because I’ve been snacking on the Chocolate Sea Salt bars. Yum! Ingredient wise, RXBAR is a simple bar. The Chocolate Sea Salt contains dates, egg whites, almonds, cashews, cacao, sea salt, and natural chocolate flavor. Of course it’s gluten, soy, and dairy free for all of you out there with allergies (real or imagined). This bar contains 12 grams of protein, 9 grams of fat, 22 grams of carbohydrates; with 200 calories. I honestly didn’t expect to care for this flavor. Surprise! When I snack on bars, I tend to gravitate more towards the fruity flavored ones rather than what I refer to as “fake chocolate or peanut butter” bars. If I want chocolate or peanut butter, I’m going to eat just that, not substitute something that imitates it. Chocolate Sea Salt RXBARs have just the right amount of chocolate flavoring without tasting “fake” or chalky or too sweet. They are also sprinkled with real sea salt- which I loved! The sea salt enhances the overall flavor of the bar. Although I would love to see a bit more sea salt added, it was still good. This bar was chewy but soft, without being too much of either.